Millions of people across Britain have serious concerns as to whether they will be able to afford to keep their homes, according to the housing charity Shelter. A survey of 4,000 people by the charity, organised via YouGov, revealed the disturbing trend, as many said they feared they would not be able to meet housing bills. One in five of those surveyed said they were so anxious they did not open their post if they thought it could be a late payment reminder. Families are the worst affected, with currently over 70 percent of mortgage or rental payers with children struggling compared to 63 percent of the general population. The small gap, however, testifies to the economic insecurity affecting the broad mass of the population. According to earlier findings from Shelter, it is estimated that 1 in every 105 households in Britain are at risk of repossession. This figure is much higher in “repossession hotspots” that are spread across the UK. These include Salford in Greater Manchester, where 1 in 60 homes are at risk, and Newham in London, where 1 in 35 homes are at risk. Declining wages as a result of pay cuts and freezes that have been implemented almost across the board, combined with rising unemployment and insecure employment, mean that many have to go heavily into debt to pay their rent or mortgage payments. A recent survey of more than 3,500 people found that increasing numbers of people are taking on risky loans and one in five reported having to borrow money to meet housing costs. Of those surveyed, it was found that 19 percent had used a loan, unauthorised overdraft, or credit cards, or had borrowed money from someone they knew to pay their rent/mortgage in the last 12 months. Of these, 2 percent had to resort to extortionate Pay Day loans to pay their housing bills. These are short-term loans taken out by those with no other access to credit. Most are in work, but have run out of money before payday—hence the name. With annual percentage rates of between 1,500 to 4,000 percent—sometimes even as high as 5,000 percent—these loans push people even further into debt. The total amount payable on a £300 loan (taken out for 30 days) at 1,737 percent Annual Percentage Rate, for example, works out at £375. If the loan is not repaid on the due date, it is often rolled over for another month, subject to another 30 days’ interest plus the interest already accrued. Pay Day loan companies have grown exponentially over the last period, as more and more people struggle to pay for the basic necessaries of life—unable to meet their financial outgoings each month and often living a hand-to-mouth existence between pay packets. Shelter has reported that the calls to its service for help from people struggling to pay rent/mortgages was up by a third from last year—from 6,797 in 2012 to 8,995 in 2013. The charity estimates that this figure disguises many who have not asked for help, attempting to hide their financial problems from their families and friends. The fact that many people are still struggling to repay mortgage payments, even though interest payments are low, disguises a potential financial time bomb that is looming for millions of people across Britain. The Resolution Foundation think tank carried out a study using the latest five-year growth projections from the Office of Budget Responsibility to model how the number of households that are described as being in “debt peril” could rise, dependent on interest rates and household incomes. 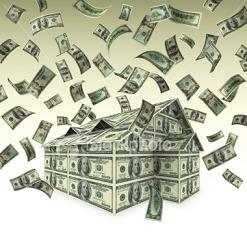 At present, the fact that interest rates are low prevents many people from losing their homes. The number of families currently spending more than half their disposable income on mortgage repayments could treble by 2018 if interest rates were to rise. Even the most optimistic scenario, whereby interest rates rise slowly to 3 percent by 2018 and economic growth is strong, puts 1.2 million home owners still spending in excess of 50 percent of their take-home pay on mortgage repayments. This figure is accepted as an indicator of over-indebtedness. If the Bank of England were to raise interest rates more quickly, to 5 percent by 2018, and growth continues to be slow, up to 2 million homes would face financial difficulties—half with families with children. It is worth noting that the markets believe the base rate (interest) will rise to 5 percent by 2018. This points to future higher levels of precarious household debt than those experienced in 2007, prior to the financial crisis. Then, 870,000 households were spending more than half their net income on debt repayments. This fell to 600,000 by 2011, in line with falling interest rates. Currently, one in six households are mortgaged to the hilt, servicing home loans that are at least four times the size of their annual salary, leaving many people vulnerable to interest rate hikes. The fact that millions of people are at the mercy of bank interest rates in relation to a basic human need—housing—is socially criminal. The solution to this looming crisis requires a major redistribution of wealth, away from the rich to working people, and the nationalisation of the major construction firms under democratic workers’ control.